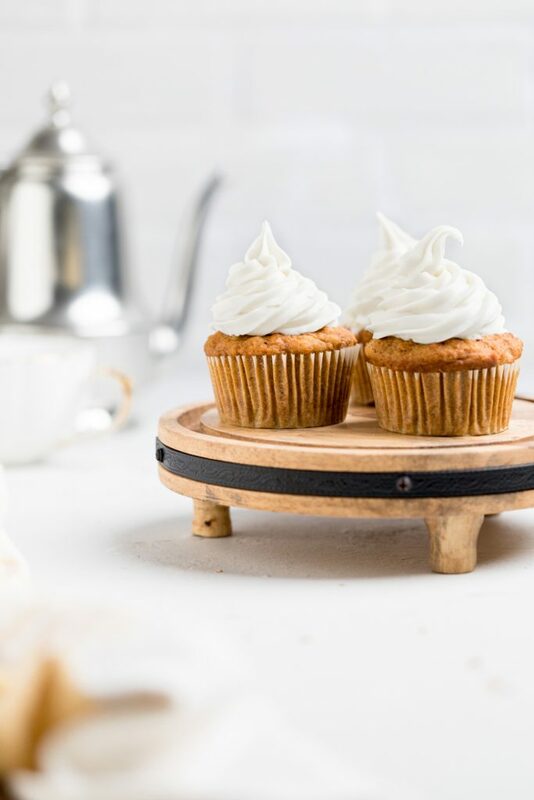 These easy dairy free carrot cake cupcakes are the perfect spring dessert recipe. Perfectly soft and full of flavor, everything is made in one bowl and they are also completely vegan carrot cake cupcakes as well. If you think of desserts around spring time or Easter, then carrot cake is likely a dessert that comes to mind. 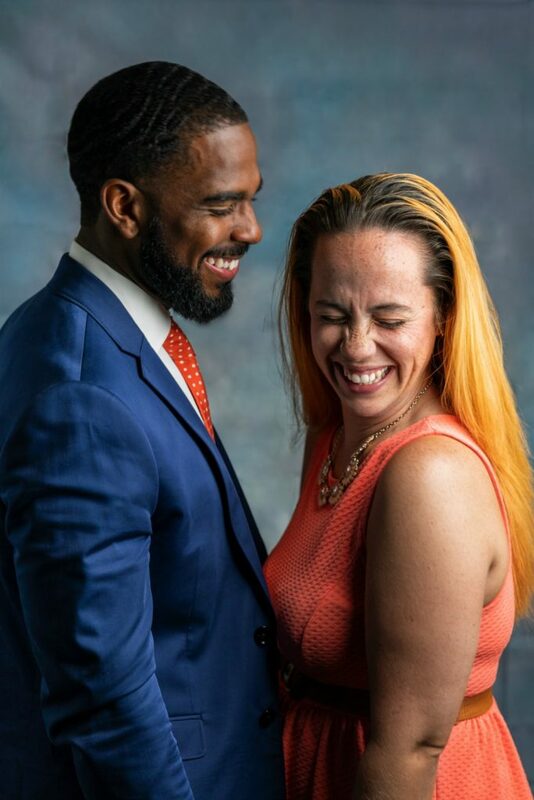 For many people, carrot cake is one of the first introductions to realizing that you could me mix a cake recipe with a vegetable and actually have a delicious creation come out of that. Today, we’re making the same carrot cake that you fell in love with years ago, but turning it into a dairy free carrot cake cupcakes. 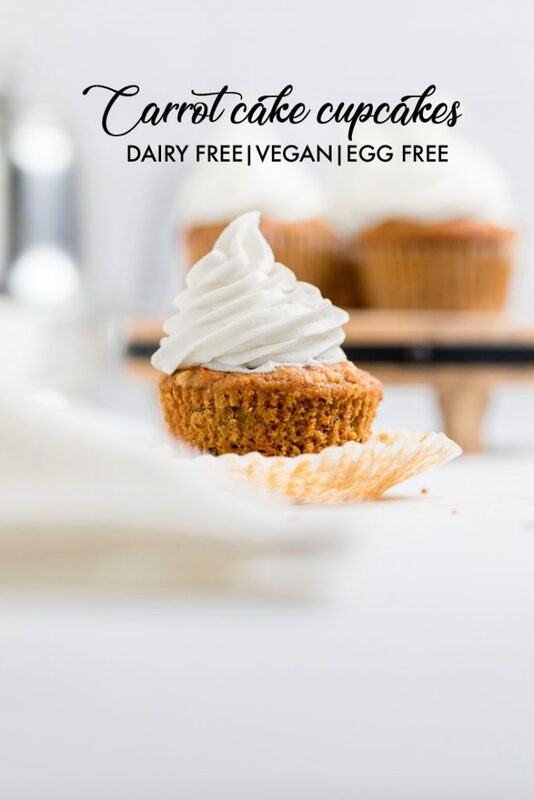 This recipe is also a completely vegan carrot cake cupcakes recipe which means that not only is it dairy free but it is egg free as well. 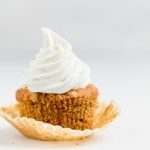 In addition, we’ll share details below on how you can make this Top 8 Free carrot cake cupcakes as well if that is needed for your dietary restrictions! What ingredients do you need to make dairy free carrot cake cupcakes ? We love making really simple recipes and while we may have more than 10 ingredients in this one, everything is easily accessible at your local grocery store and you’ll be able to whip up these delicious vegan carrot cake cupcakes in no time. These dairy free carrot cake cupcakes will be ready in no time and you will be the star of any spring function that you take them too. 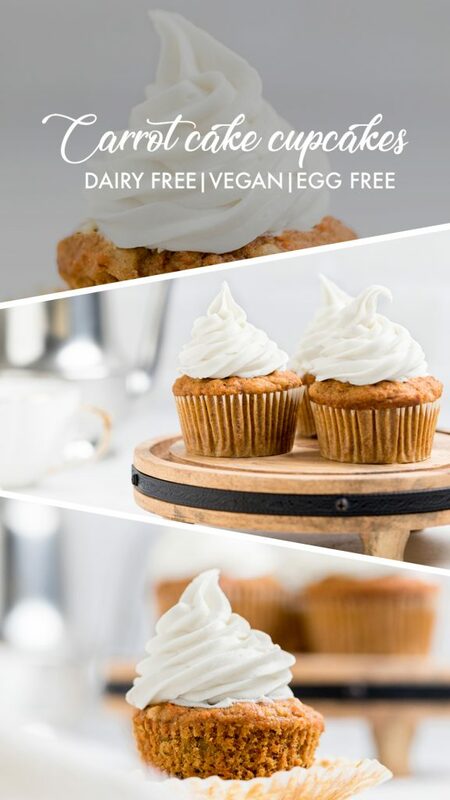 How do you make dairy free carrot cake cupcakes ? 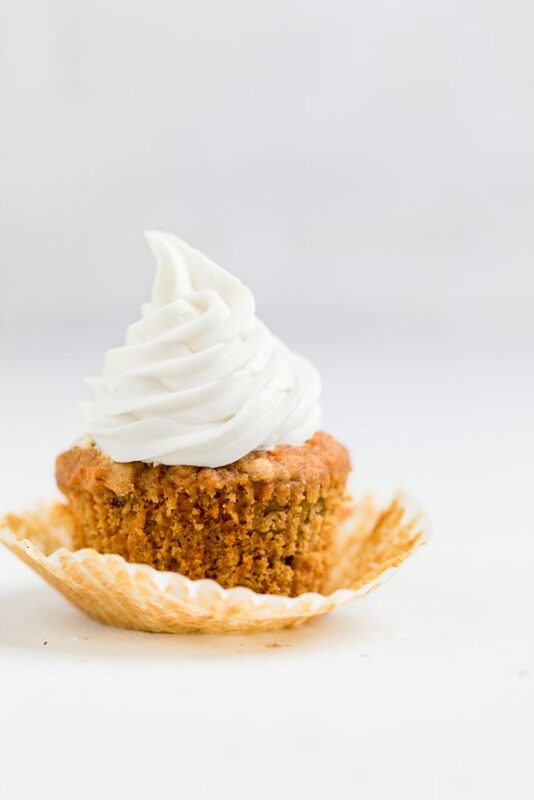 Even though there are slightly more than a dozen ingredients in these vegan carrot cake cupcakes, the recipe comes together really fast and it’s all done in one bowl. If you are like me, you love one bowl recipes because that means less dishes. Next, add in melted coconut oil, maple syrup, vanilla, and shredded carrots. Combine together with a silicone spatula. Add in applesauce and nuts and stir until just combined. Don’t over mix this recipe. These vegan carrot cake cupcakes will be a thicker batter consistency and not very runny. Place in cupcake wrappers until 3/4 full. Bake for 20-23 minutes or until toothpick inserted comes out clean. Let cool and top with frosting of choice. 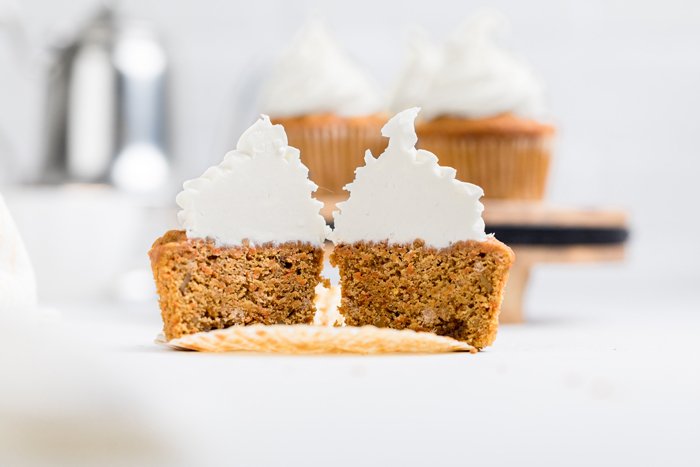 Can I make these dairy free carrot cake cupcakes Top 8 Allergy Friendly? Place in cupcake wrappers until 3/4 full. Bake for 20-23 minutes or until toothpick inserted comes out clean.